Не забудьте поменять вместо "?" свои кнопки! alias "+str" "+attack; cl_crosshair_color 250"
alias "-str" "-attack; cl_crosshair_color 0"
Alias +ddd "+duck; Cl_dynamiccrosshair 3;bind mouse1 +goodshoot"
alias -ddd "Cl_dynamiccrosshair 0; -duck; bind mouse1 +attack"
alias +goodshoot "cl_pitchspeed 3 ;alias _special @goodshoot;@goodshoot"
alias w "wait";alias w2 "w;wait";alias w3 "w2;wait";alias w4 "w3;wait";alias w5 "w4;wait";alias +F.23 "+attack;F.23.1";alias -F.23 "-attack";alias F.23.1 "w;w;F.23.2";alias F.23.2 "weapon_knife;F.23.3";alias F.23.3 "weapon_awp";alias F.23.4 "F.23.5";alias F.23.5 "bind mouse1 +F.23;alias F.23.4 F.23.6";alias F.23.6 "bind mouse1 +attack;alias F.23.4 F.23.5"
alias zoomy "+attack2; w3; w3; -attack2"
alias -runleft "-moveleft; +moveright; w9; -moveright"
alias -runright "-moveright; +moveleft; w9; -moveleft"
alias -runforward "-forward; +back; w9; -back"
alias -runback "-back; +forward; w9; -forward"
alias burstfire "bind mouse1 burst3; bind end standard; developer 1; echo Burst Fire Enabled; developer 0"
alias burst3 "+attack; w3; -attack; w3; +attack; w3; -attack; w3; +attack; w3; -attack"
alias standard "bind mouse1 +attack; bind end burstfire; developer 1; echo Burst Fire Disabled; developer 0"
alias sp1 "impulse 201; alias sp sp2; spk sound/ultimate_sounds/headshot1_ultimate"
alias sp2 "impulse 201; alias sp sp3;spk sound/ultimate_sounds/knife2_ultimate"
alias sp3 "impulse 201; alias sp sp4; enemydown"
alias sp4 "impulse 201; alias sp sp5; spk sound/ultimate_sounds/holyshit_ultimate"
alias sp5 "impulse 201; alias sp sp1; spk sound/ultimate_sounds/unstoppable_ultimate"
alias +matrixslow1 "fps_max 0; say_team Matrix script on; name NeO; +speed;"
alias -matrixslow1 "fps_max 999; say_team Matrix script off; name CS-W@R!0rR; -speed;"
alias hgr "hegren; slot4; wait; +attack; wait; -attack; +attack; wait; -attack"
alias fgr "flash; slot4; wait; +attack; wait; -attack; +attack; wait; -attack"
alias sgr "sgren; slot4; wait; +attack; wait; -attack; +attack; wait; -attack"
Alias @slntdfs "special; wait; +use; wait; -use"
alias +slntdfs "alias _special @slntdfs; @slntdfs"
alias +anti "cl_pitchspeed 3 ;alias _special @anti;@anti"
alias recoilon "bind mouse1 +hah; alias recl recoilof"
alias recoilof "bind mouse1 +attack; alias recl recoilon"
alias walk "+speed; -duck; bind mouse4 run; bind space walkcrouch; bind ALT +cjumpr;"
alias run "-speed; -duck; bind mouse4 walk; bind space crouch; dv1; bind ALT +cjumpw;"
alias crouch "+duck; -speed; bind space run; bind mouse4 walkcrouch; dv1; bind ALT +cjumpw;"
alias walkcrouch "+duck; -speed; bind space walk; bind mouse4 crouch; dv1; bind ALT +cjumpr;"
alias -cjumpw "-jump; -duck; bind mouse4 walk;"
alias +cjumpr "+jump; +duck; -speed;"
alias -cjumpr "-jump; -duck; +speed; bind mouse4 run;"
bind "?" "+attack; wait; wait; wait; -attack; wait; wait; wait; wait; wait; wait; +attack; wait; wait; wait; -attack; wait; wait; wait; +attack; wait; wait; wait; wait; -attack; wait; wait; wait; wait; -attack; wait"
alias echo_on.sA6 "motdfile echo.txt; cl_showfps 0"
alias echo_off.sA6 "developer 1; motd; developer 0; motdfile motd.txt"
alias takesnap "csHUD_off; w3; snapshot; wait; csHUD_on; echo_on.sA6; motd_write [Screenshot Complete]; echo_off.sA6"
alias csHUD_off "status; w5; condump; w5; clear; hud_draw 0; cl_observercrosshair 0; crosshair 0; r_drawviewmodel 0; hideradar; net_graph 0; cl_showfps 0; scr_centertime 0"
alias csHUD_on "hud_draw 1; cl_observercrosshair 1; crosshair 1; r_drawviewmodel 1; drawradar; net_graph 3; cl_showfps 1; scr_centertime 2"
bind "?" "snapshot; wait; takesnap"
alias +sprayx "alias _special @sprayx;@sprayx"
bind "mwheelup" "invnext; +attack; wait; wait; -attack"
bind "mwheeldown" "invprev; +attack; wait; wait; -attack"
bind "?" 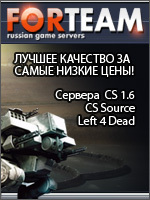 "fps_max 20; cl_yawspeed 3600; wait; +right; wait; -right; cl_yawspeed 32; fps_max 200"
alias +quickslash "weapon_knife; wait; +attack"
// Нажмите и держите назначенную клавишу чтобы ваше оружие сменилось на нож и автоматически началась атака. Отпустите кнопку - вернётесь к предыдущему вашему оружию. 25. Включает зум - выстрел - выключает зум. alias -quickshot "-attack; wait; -attack2;"
alias quickzoom "bind mouse1 +quickshot; alias firemode standard;"
alias standard "bind mouse1 +attack; alias firemode quickzoom;"
say Speedhack Activated; wait; wait;"